Trip Details: Six night international business trip. I overpacked somewhat for this trip as I realized that I would have late nights and might not feel like washing clothes when I got back to my hotel at night. I also didn’t need the UnderFit undershirt (the Icebreaker merino undershirt lasted the whole trip). I mainly rotated my two Wool & Prince shirts, but I was able to get two wears of my polo. I’m still using a quart zipper bag for my toiletries because it just works (and makes it compliant when you have to separate liquids from your bag when you can’t use PreCheck). 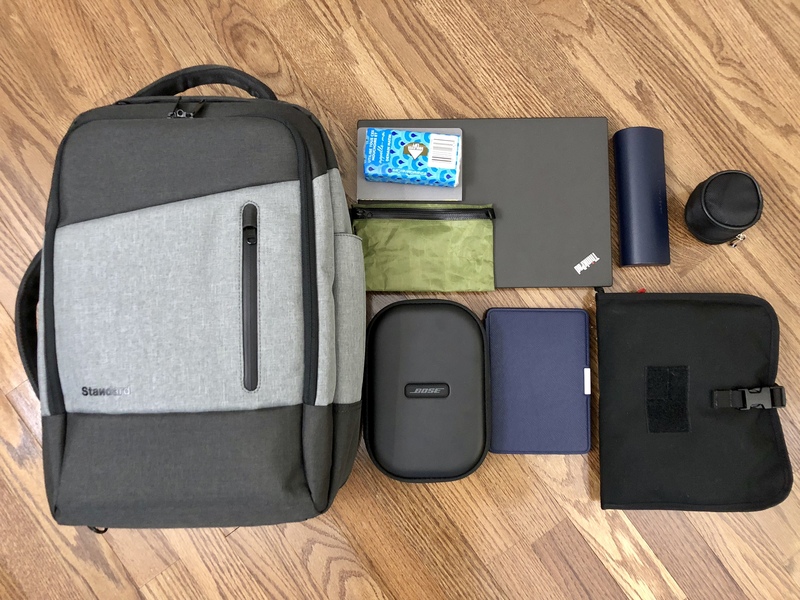 I probably could have squeezed everything into my Osprey bag, however, then I might not have been able to fit it under the seat on my domestic flights. I also figured it would be nice to have a small bag to have at my seat with my entertainment and to use as a briefcase during my trip. Just a few first impressions of the Standard Luggage Co. bag: 1) it’s very padded and structured so there is some wasted space, 2) the laptop slot is on the back panel as expected, but the main compartment zipper opens at the back panel, making access to its contents awkward, 3) the small front compartment has some nice organization, 4) the padded handles and above average shoulder strap make the bag pleasant to carry. I picked up the GORUCK Simple Windbreaker hoping to have a lightweight and packable layer to use when traveling. Something I could keep in my bag to deal with minor inclement weather but which never takes up too much room. GORUCK makes two variants of this jacket, one with a hood and one without — I chose the one without as the jacket is not designed to be a rain layer. I first put this jacket through its paces on a trip to Houston and back to Seattle. In Houston I wore it as a light layer in the humid mornings and found that it breathed much better than I expected. 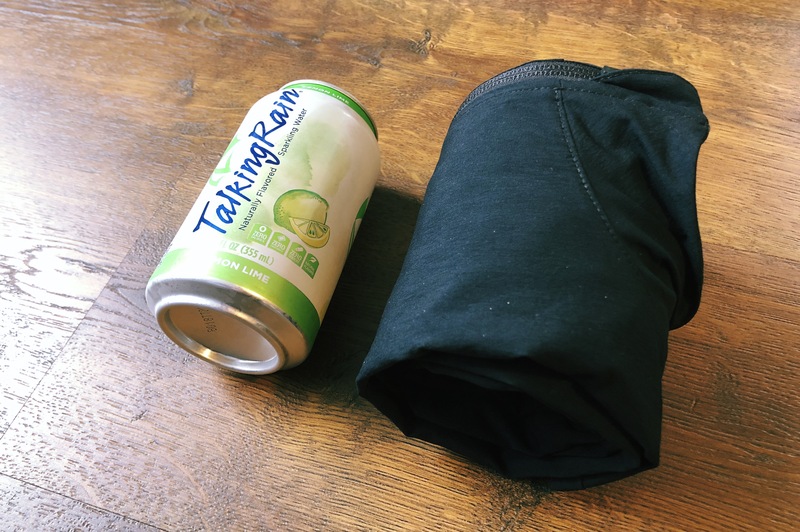 When arriving back in Seattle, it was frigid and snowing, and I used the jacket to stay warm while waiting for my ride — it was better than nothing but far from an insulation layer. Next I took it to the Washington coast where the ambient temperature was around 40 °F and the wind was blowing at a constant 30 mph with stronger gusts. What shocked me on this test was how much wind this jacket blocked. With just a fleece jacket and t-shirt under the windbreaker I was able to stay plenty warm walking around the beach in the high winds. This is where I started to fall in love with this jacket — it’s much lighter weight and compact to pack than any rain shell I have yet it performs incredibly well in wind. I’ve also worked out with this jacket many times and found that it breathed OK, not as well as say the Ferrosi material from Outdoor Research, but well enough that I didn’t feel like steam was building up under the jacket. Overall, this is exactly what it says: a wind breaker. If you expect a jacket which can keep the wind from cutting the heat out of your core you’ll be very happy. 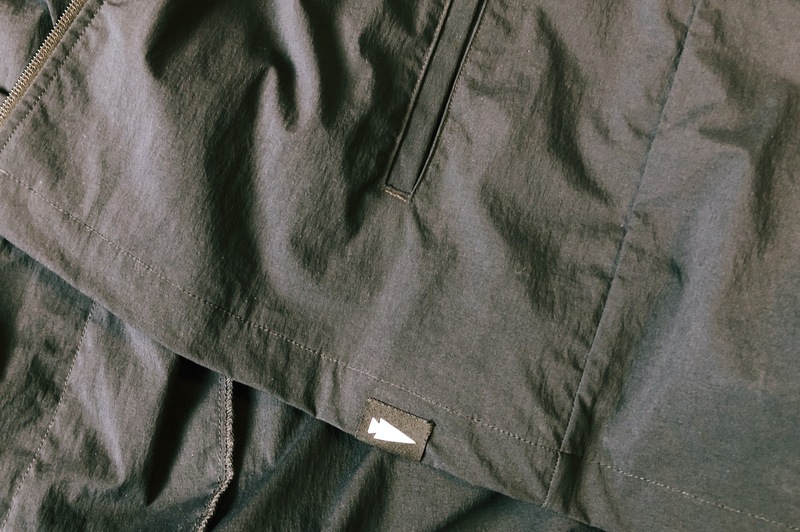 This jacket is made from GORUCK’s ToughDry fabric which is 94% nylon and 6% spandex at a weight of 125 gsm. The jacket sheds water pretty well, and though not explicitly stated, I have to assume it has some sort of DWR coating on the fabric — fabrics don’t bead water like this when they don’t have a coating. 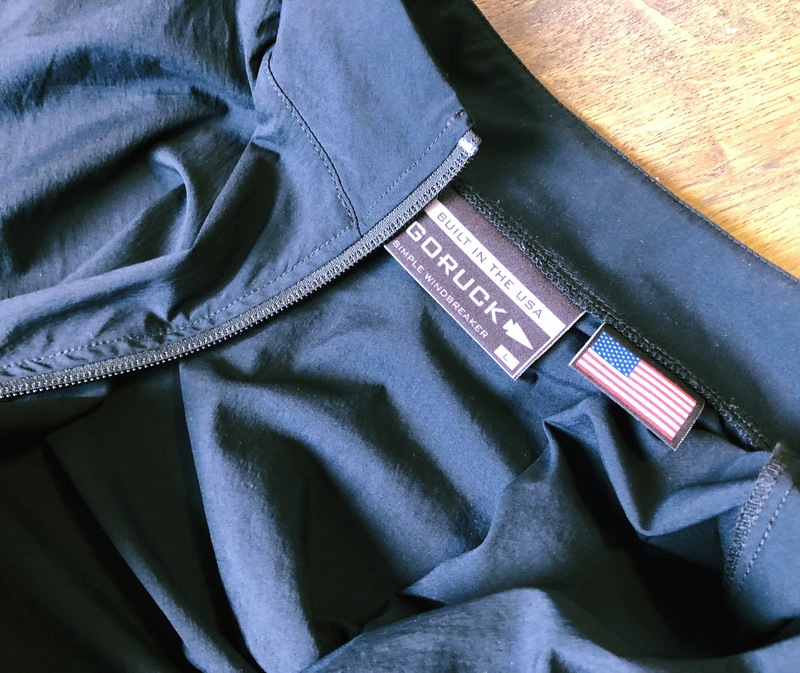 GORUCK made this jacket with the goal of being light, water repellent, active, and durable — I think it checks all those boxes easily. One last note on the spandex: it appears to be two-way stretch instead of four-way. Plenty comfortable for most activities, but when raising your arms above your head I do notice the jacket doesn’t move as much as one would hope. It’s not a rain layer. It’s not made to withstand rain at all, and likely at some point it will soak through and become a sopping wet layer. It repels water really well. When comparing it to two different pants with DWR coating it out performed both of them with flying colors. In a steady light rain, during my workout, my pants soaked through while the jacket was still shedding water. I have yet, and I’ve worn this many times in rain, to see this jacket soak up the water. However, I assume it’s only a matter of time. Everything you read about this jacket says not to trust it for water repellency, but every experience I’ve had with it tells me it’s great in light rain. Again, I suspect there’s DWR, which means it would wear off over time. That said, it could be something else — perhaps just the tight weave nature of the nylon or something else entirely. What makes me question my DWR assumption is that DWR can be reactivated by putting a garment in the dryer for 15 minutes, and yet GORUCK specifically states that you should not put this jacket in the dryer if you want to maintain water repellency. I’d love to know what is going on with this, because there’s something really neat about this fabric’s water repellency. The reason I bought this jacket is because GORUCK shows the jacket with the hood rolled up to a size just bigger than a can of soda. In practice, this jacket without the hood can be rolled up to that size as well — which is very handy when packing it. 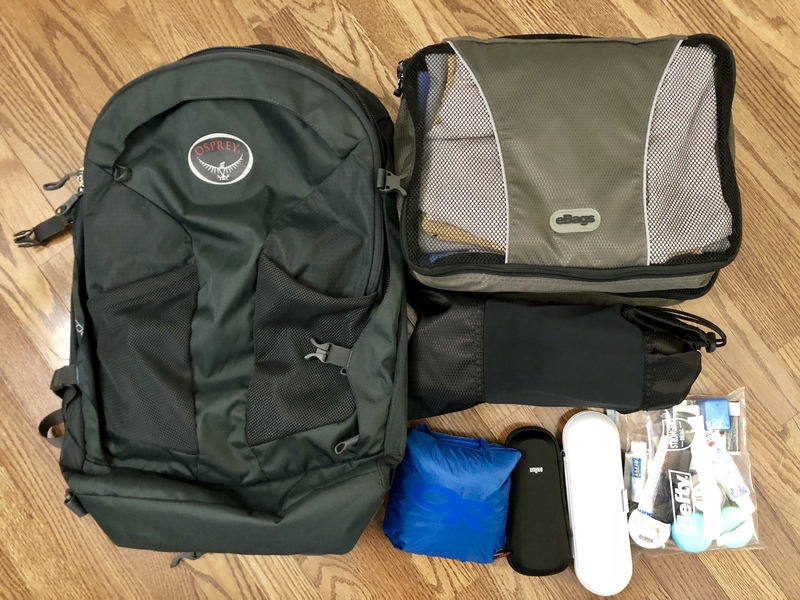 It is very light, and rolls up small, so it’s as close to a freebie as you get when you are packing it in a bag for a trip or as an emergency layer on a day out. Because of this packability, I’ve worn this jacket more than any other jacket I own these past couple of months. This jacket is very basic. The pockets don’t have closures and thus really can’t be relied upon to store things — which is an acceptable trade off for how light and packable the jacket is. But there’s one major downside: the ToughDry fabric is very prone to friction when you are sliding the jacket on and off. I mentioned above how I wore a fleece jacket under this jacket, but what I didn’t mention is that it was not easy to wear the two jackets like this (it would have been easier if the GORUCK jacket was one size larger, but then it would be too large for me generally). Most jackets take care to make sure you can easily slide your arms into the sleeves without the sleeves binding whatever else you a wearing — that’s just not the case with this fabric. It’s hard to describe as it doesn’t harm the other fabrics you are wearing, but it does tend to grip on to them making things a little more cumbersome when you take the jacket on and off. This is really the only downside with the jacket, so it’s best to wear the jacket with layers that aren’t very bulky. Don’t rely on this as something you can slide on over a fleece easily — I learned the hard way. I really like this jacket, I can see it being a year round staple item for me. It doesn’t look like anything special, but it performs extremely well and is easy to take with you. It feels high quality, should last a long time, and punches well above its stated attributes. Myles Apparel is one of the many companies making performance men’s activewear. 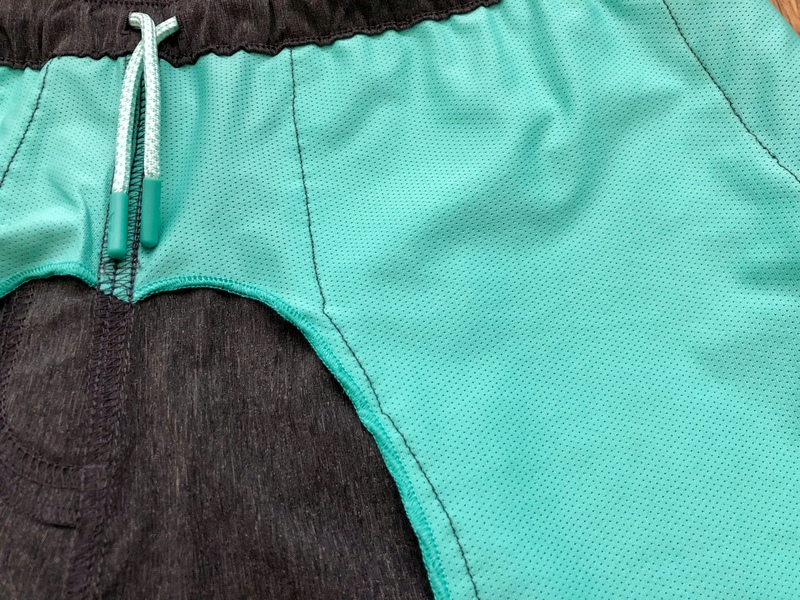 They stand out from the pack with some great synthetic pieces including the Momentum Short 2.0, also available with liner (we also previously reviewed their Everyday Short). The fabric is 85% nylon, 15% spandex (the heather colors are 53% nylon, 35% polyester, 12% spandex) with (slight) four-way stretch and a DWR treatment. The material is a perfect weight, not so light that it doesn’t look right and not so heavy to be stiff. The pockets are made of a mesh material (in the signature Myles green) that is lightly perforated with small holes. 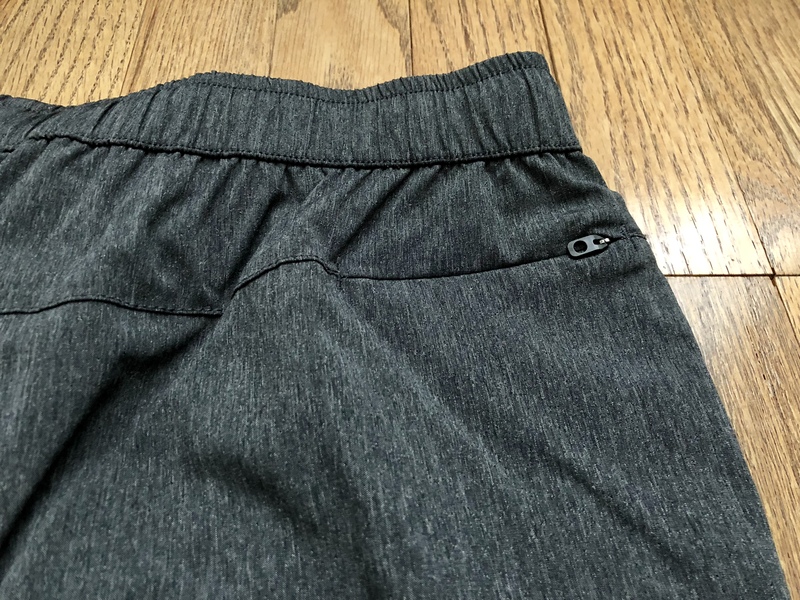 This probably wouldn’t drain water too quickly, but keeps the pocket material from hindering the breathability of the shorts. 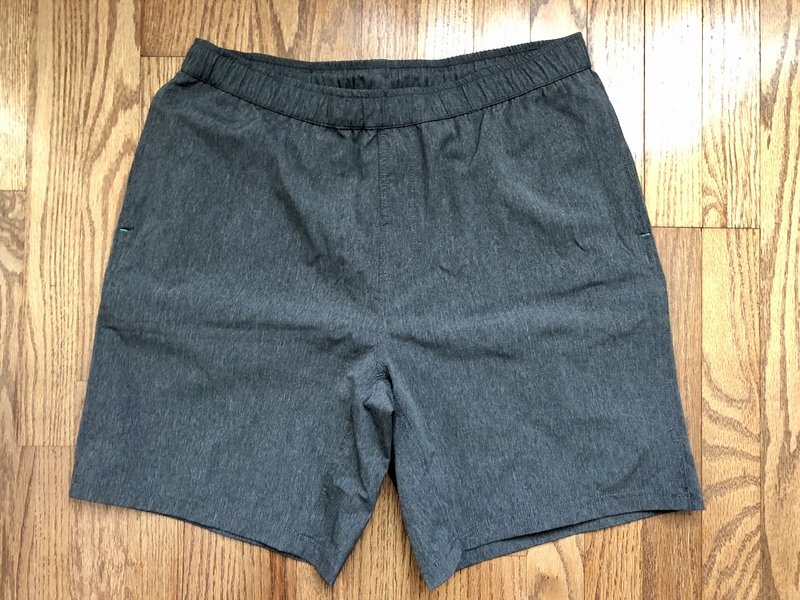 These shorts come in two lengths, Short (6”) and Standard (8”). I have the Standard length and find them to be perfect for working out. The size guide is spot on for picking the correct size (it contains actual garment measurements). I find the elastic to be very comfortable, the waist band is a good width so it never feels like it is cutting into your skin. 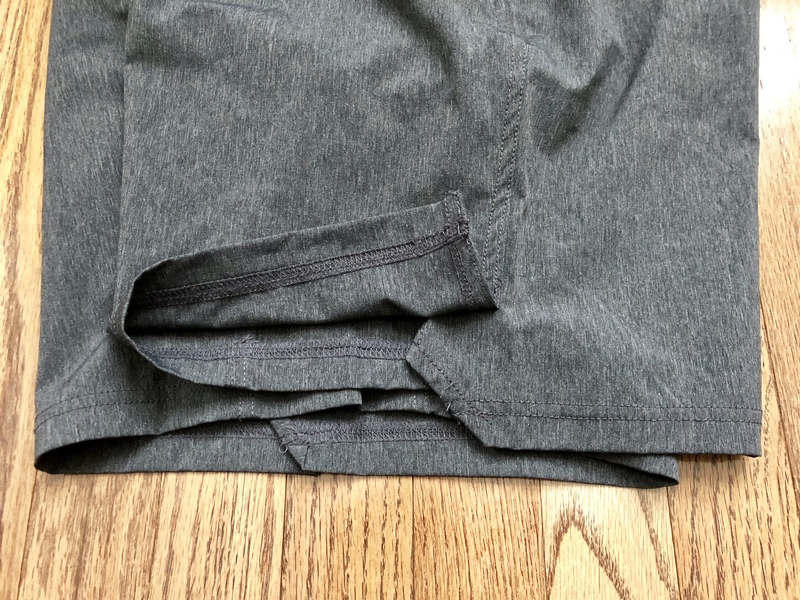 The overlapped side split helps make up for the lack of stretch, as it lets the leg openings of the shorts get out of they way when you need them to. The gusseted crotch also helps keep things comfortable. The front pockets are nice and deep (they hold my iPhone X with no risk of it falling out, and would probably do OK with a Plus as well). There is also a small, zippered pocket to the back of the side seam. Myles calls this a “Hidden Media Pocket”. I’m not sure why it’s named that, because it’s far too small for a phone, but it works perfectly for a key (or a few). These shorts perform perfectly for me. I’ve worn them for everything from kettlebells to rowing to yoga and find them extremely comfortable and without any spots that bind. The overlapped side split makes up for the less than expected stretch and the pockets are plenty deep. Most importantly, these shorts never feel wet when working out. Incredibly, they also give me multiple wears (these are my only workout shorts that allow this). Hanging to air out between workouts has allowed me to wear them 3-5 times before they need a wash. The Myles Apparel Momentum 2.0 shorts are now what I grab first for a workout. The comfort, combined with excellent wicking and odor resistance, make these shorts hard to beat. Note: this item was sent to us for the purpose of review. 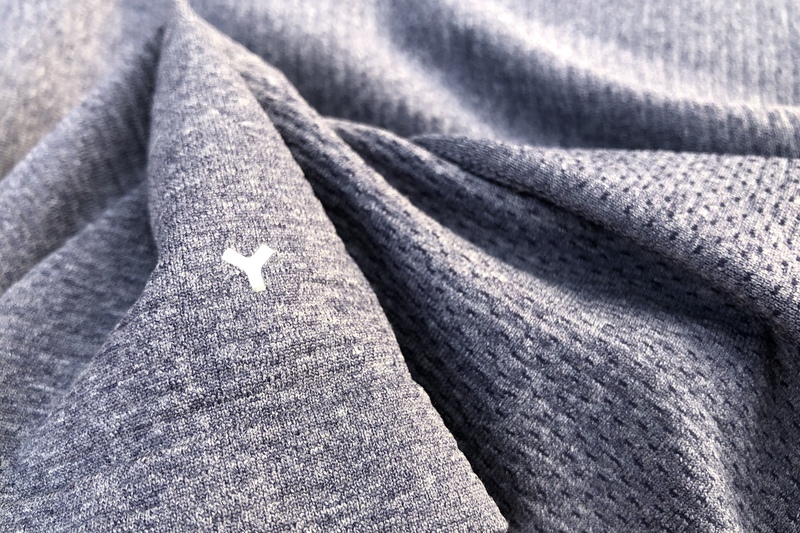 The Y Athletics SilverAir Short Sleeve Crew is a part of a new breed of synthetic work out shirts which attempt to be highly breathable while also being highly-odor resistant. The goal is to give you something which performs at the levels of merino wool, but has the durability of synthetics. I’ve now been testing this shirt for a little over two weeks, wearing it while I work out. To start, this is a “Made in the USA” t-shirt with a unique material: 69% Nylon, 26% Polyester, 5% Metallic. The fabric is spun in Italy, and the ‘metallic’ is claimed to be silver. By adding silver, the shirt is said to be more odor resistant. I wore this shirt as my base layer for four workouts in a row before it started to smell — about the same amount of wears I get out of merino wool in the same scenario (also the same as the Pistol Lake Eudae fabric). I washed and hung the shirt to dry (it dries very fast) and wore it again for another five workouts and I still have not washed it again as I really cannot detect much smell. I’m impressed. 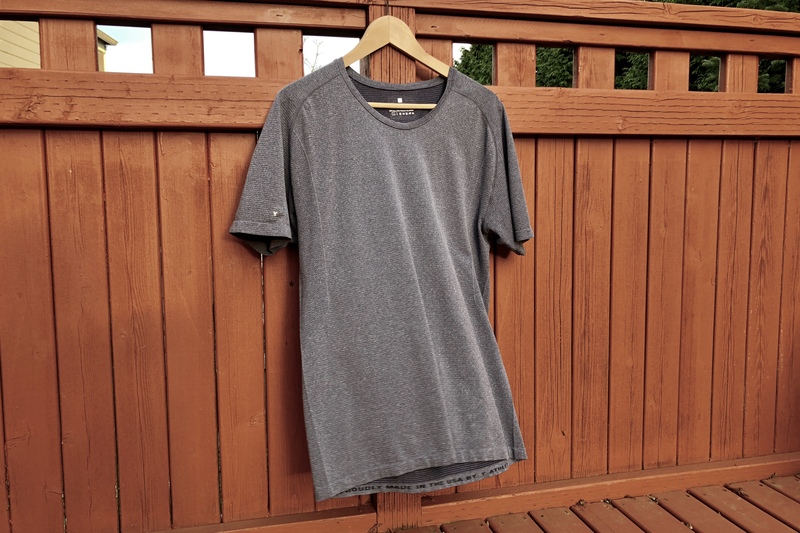 This shirt does live up to its claims of being odor resistant, and not just in the sense that you can wear it twice — it rivals the performance of merino, which is something I had yet to see out of a synthetic shirt. Since this is a workout shirt, and is synthetic, it is made to fit close to the skin. It doesn’t fit me tightly overall, but it is also unlikely to get in your way when working. I also found it less staticky than most synthetic shirts this time of year. Make no mistake, it’s still a synthetic feeling shirt so it doesn’t have the softness of merino (or Eudae), but rather the entire shirt is very smooth to the touch. That said, given that my workouts are rucking, and rucking is known to be hard on shirts, I am a big fan of having a synthetic shirt I enjoy wearing. The shirt also has a venting system built in, in addition to the moisture wicking properties, where the shirt is basically mesh in spots. 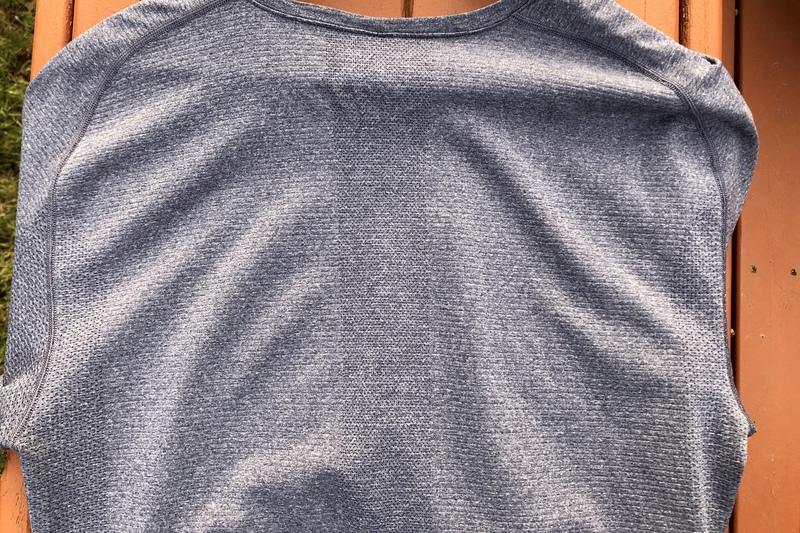 However, unlike with most mesh materials, this doesn’t cause the shirt to be see through in any way, but you can tell form a glance that there is this venting. It’s a bit like a bus with ads over the windows, you know it’s got a ton of holes in it, but you also aren’t really able to see through it. At first glance I wasn’t won over by this shirt, then I wore it to work out and I quickly changed my mind. The thing about this shirt is that it very much looks like what it is: a work out shirt. Whereas most merino t-shirts and even the Pistol Lake shirt we reviewed can be passed off as a standard t-shirt in many situations, you won’t get that with this shirt. What you will get is quite possibly the best workout shirt I’ve had the chance to wear thus far — it looks like a workout shirt, because it’s a really good workout shirt. I agree with Ben’s assessments of this shirt. I was very surprised with it’s odor resistance being on par with merino. I also found the moisture wicking ability to be the best of any shirt I own. If this shirt didn’t look like a workout shirt, it would become my favorite all around tee (and it has become my favorite workout tee). These shirts were provided for review by UnderFit. Finding a comfortable undershirt with a deep enough neck that stays tucked in all day can be a challenge. 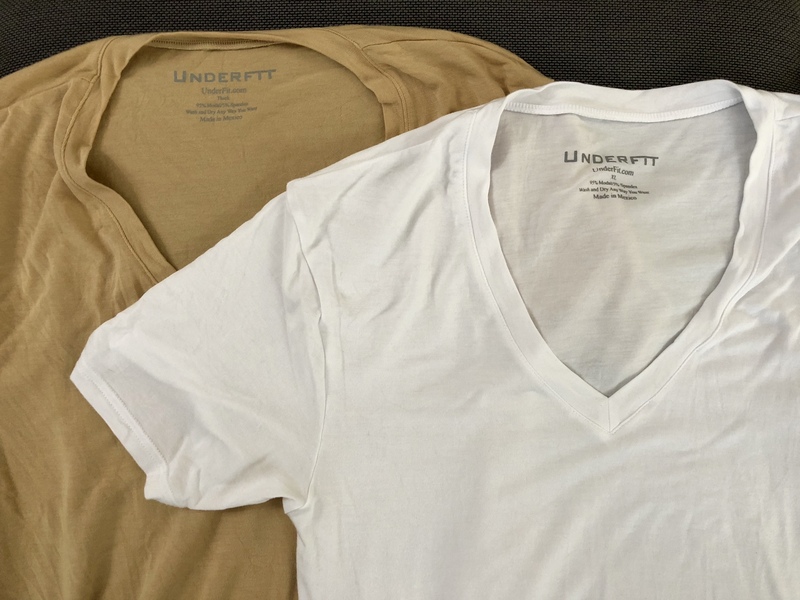 UnderFit has been making undershirts since 2012 and has spent a lot of time refining the fabric, fit, and finish of their shirts. The shirts are made with a custom fabric that is 95% Modal, 5% Lycra. The Modal gives the shirt its softness, temperature regulation, and moisture absorption (odor resistance) properties. The Lycra gives the shirt its slight stretch so it can comfortably fit close to your body. The fabric feels very soft and is actually quite thick. Surprisingly, I was able to get two wears out of a shirt — something that I would have never expected from a non-merino undershirt. This remained true even when I wore the shirt for a long day and got quite sweaty. 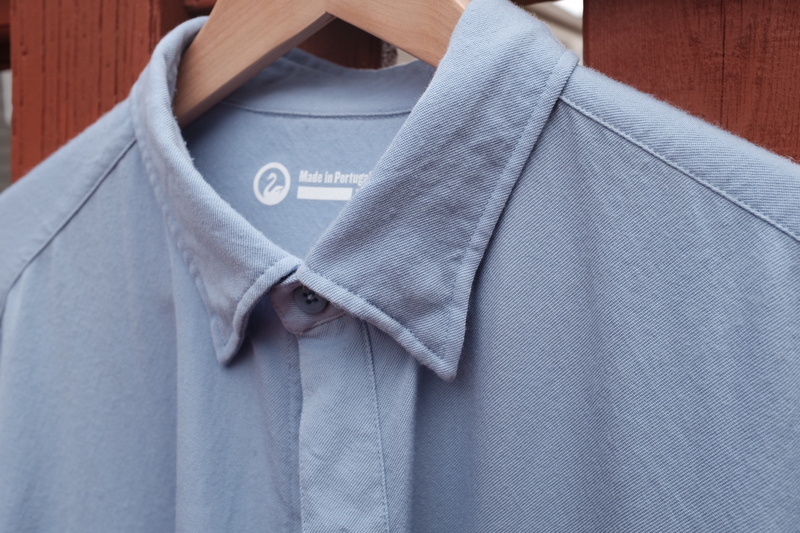 One perk of the UnderFit fabric over merino is that you can wash and dry the shirts however you want. The “fit calculator” on the UnderFit website makes it easy to pick a size. You put in your height and weight and are given your size. I was sent a few sizes to give a try, and I found the size provided by the calculator gave the best fit. The shirts fit close to the body with an extra long length so they stay tucked in all day. I’ve sometimes found close fitting undershirts to be too constricting, but the stretch made this shirt extremely comfortable. The v-neck was also cut perfectly, I never felt that it was going to show above my shirt. The seams on the shirt are sewn so they remain flat and don’t feel abrasive, something that can’t be said for all undershirts, especially the points of some v-necks. In addition to the white v-neck, I was also able to give the skin tone v-neck a try. When wearing a white shirt over a white undershirt, the undershirt often shows through. The skin tone fabric is meant to blend in with your skin and make the undershirt less noticeable. I found that the UnderFit skin tone did a good job solving this problem (I also find a light grey color to work similarly). Like I mentioned above, I was able to get two wears out of a single shirt. While quite good for a non-merino shirt, this doesn’t beat my merino undershirt (Icebreaker Anatomica). Being thick, the fabric is great for cool weather, but I’m not sure how comfortable it would be in the middle of summer. 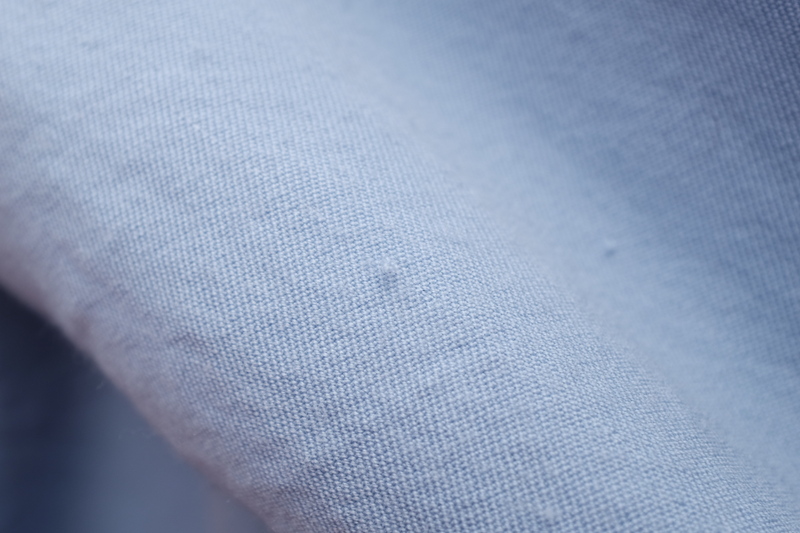 While the fabric does a good job wicking moisture, it might trap too much heat. I was quite impressed with the UnderFit V-Neck Undershirts. They are very soft, fit close to the body, stay tucked in, and the stretch makes them very comfortable. The ability to get two wears is impressive, but the thickness could be an issue in the heat of the summer. While they will not displace my merino undershirt, I will certainly keep them in my drawer. If you are looking for a non-merino undershirt, UnderFit should be your top choice. 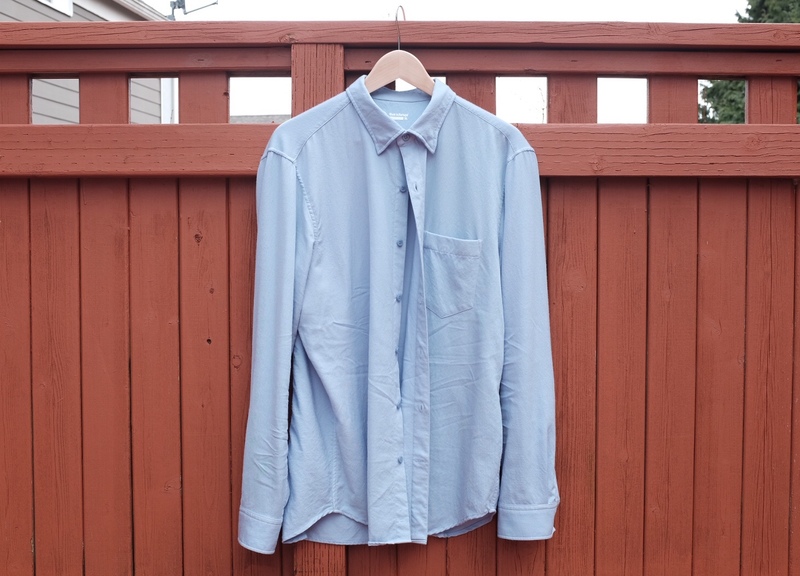 I used to have the S120 No-Pocket Pivot shirt from Outlier, only selling it because the color was simply too dark for my liking and for versatility with how I dress. So when I saw this S140 One Pocket, merino wool, pivot-sleeve, shirt from Outlier, I snatched it up right away. Outlier states the shirt is “100% Super 140 merino woven in Thailand with non-mulesed Australian merino” which doesn’t mean much to me reading it, but wearing it I can tell you it means “insanely soft and super comfortable”. At 200 gsm this shirt is heavier than the likes of most Wool & Prince button downs, but you hardly notice that when wearing it. The big question: is it worth $198? 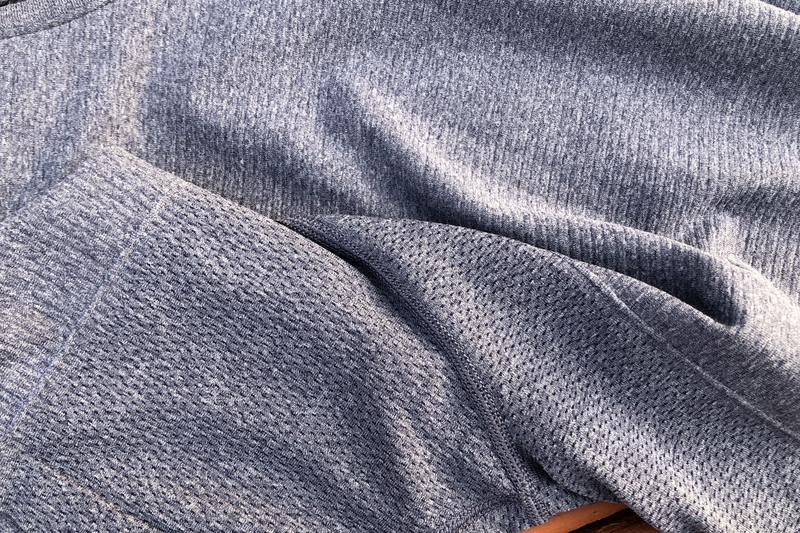 One of the biggest draws of merino wool is the inherent comfort you get from thermal regulation, but there’s simply more to the S140 than that. For starters, as mentioned above, the fabric itself is luxuriously soft. It’s not soft like a nice cotton dress shirt, it’s soft like a well broken in flannel shirt. Add to the above the pivot sleeve — a design Outlier uses to allow greater range of motion in the shoulders, without adding stretch — and what you have is something that really moves with you. Put another way: this is my preferred shirt to fly in and wear around my house. It’s that comfortable. Ok, so it feels amazing and is insanely comfortable, but how does it look? It looks fine, unless you need to have it look more formal than a flannel shirt — because the drape is all wrong. Whereas a merino button down like Wool & Prince has a crispness to the fabric, which allows it to wear as business casual, the S140 is too slouchy for that. It looks casual, and I’ve yet to be able to pull it off in a more business casual setting. The softness simply comes at a price. However, the design details of the shirt are great. The buttons, hidden buttons for the collar, and the overall cut of the shirt looks fantastic. I wore this shirt on a cross-country trip, and on the first leg I noticed that there was a pull in the yarn on the sleeve. I assume my backpack strap snagged it somehow and pulled it. I was able to mostly fix it with the needle and thread kit in the hotel (I pulled the loop back to the inside), but you can still see a minor run on the sleeve. You’d never notice it if you weren’t looking for it, but this does give me pause wearing this shirt in situations which require a bit more durability (namely, travel). Back to the question then: is this shirt worth $198? That’s largely going to depend on where you need to wear it, but for me as someone who works from home and has two small kids around: worth it. I can look nice when I need to jump on a video call but be far more comfortable than most other people in any shirt with a collar. 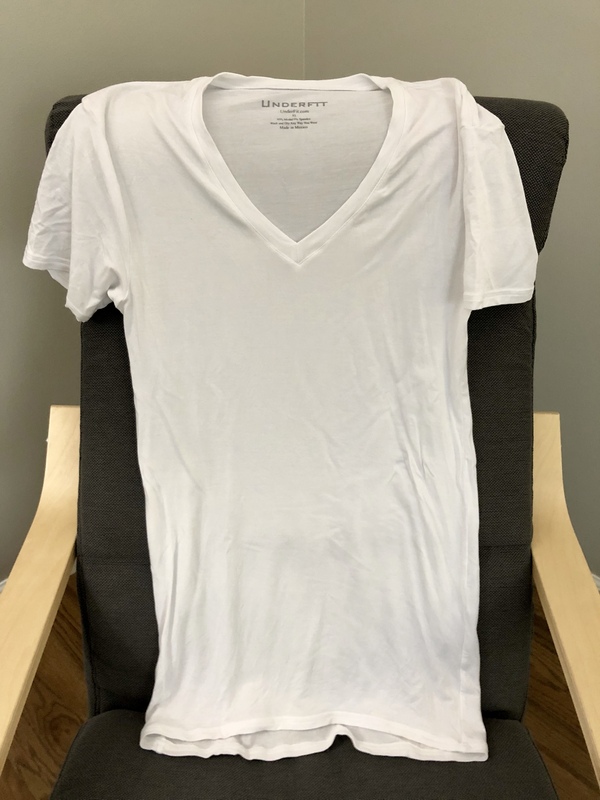 When I first tried Outlier’s Ultrafine Merino T-Shirt, I understood what the fuss was over a $100+ t-shirt. It wasn’t that it was a really good or the best, merino wool t-shirt you could get — it’s that the UFT is the best t-shirt you can get period. The S140 is the best button down shirt you can buy, the only caveat being that it will only be a casual shirt. I’m quite fine with that. The Columbia OutDry EX Featherweight Shell has recently come to our attention through a detailed comparison with other waterproof breathable (WB) jackets. This jacket is special in two ways: it has a very high moisture vapor transmission rate (MVTR) and it has no face fabric. The MVTR is important (and the author compares it to three other jackets), as it is a measure of the rate at which water vapor passes through a material (also referred to as breathability). The lack of face fabric allows the fabric to never “wet out” (this is when the face fabric is saturated with water). This will eventually happen with any of the various treatments used on face fabrics and greatly reduces the MVTR. The reason this decreases MVTR is that when the face fabric is saturated with water, it acts like it is 100% relative humidity (% RH) on the outside. In order for water vapor to pass from the inside of the jacket to the outside, the % RH has to be lower on the outside than inside. This is also the reason why if you are generating a lot of sweat and heat and it is humid out, you will feel like you are getting wet from the inside (the moisture can’t efficiently transfer from the more humid interior of the jacket to the exterior). The author maintains that while no current WB jackets breathe enough to be comfortable under exertion (like when backpacking), this is the best yet.